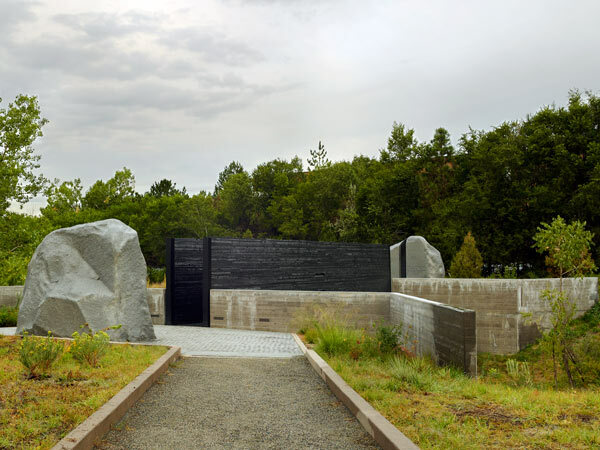 Completed in 1982, this 27-acre memorial park was designed by Lawrence Halprin and Satoru Nishita to commemorate the victims of the 1941-1943 Nazi massacre of Ukrainian Jews and others in Kiev. 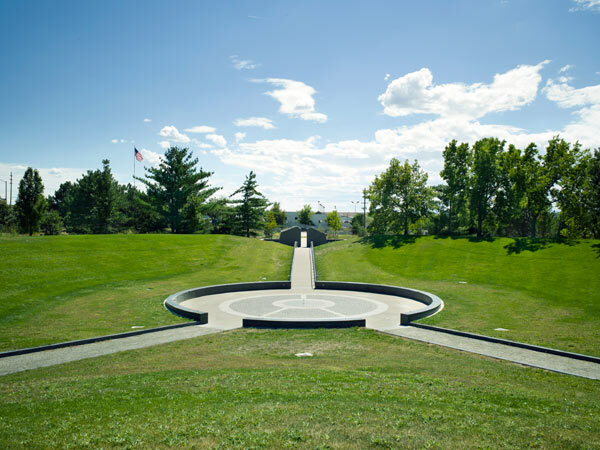 The memorial is laid out around a centralized pathway configured as a Star of David, with three distinct architectural features – an amphitheater, a grove, and a ravine. 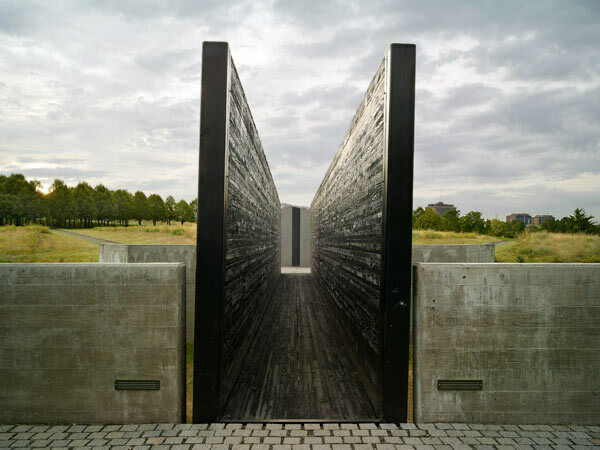 The park is entered through a narrow passage between two inscribed, rough-hewn, black granite monoliths. 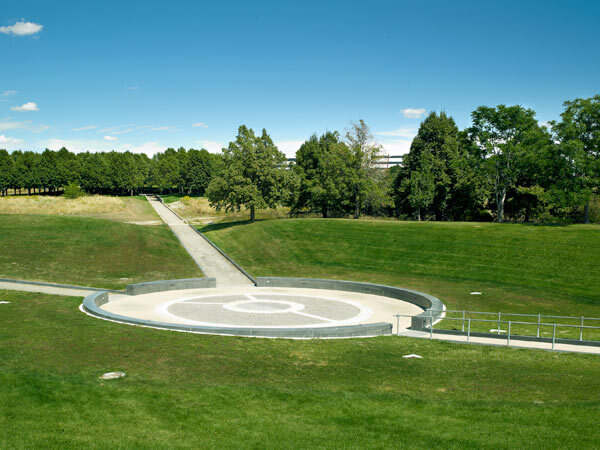 A path ascends a berm planted with cottonwood and willow, before descending into a bowl-shaped amphitheater known as People’s Place, which has a circular platform at its center. 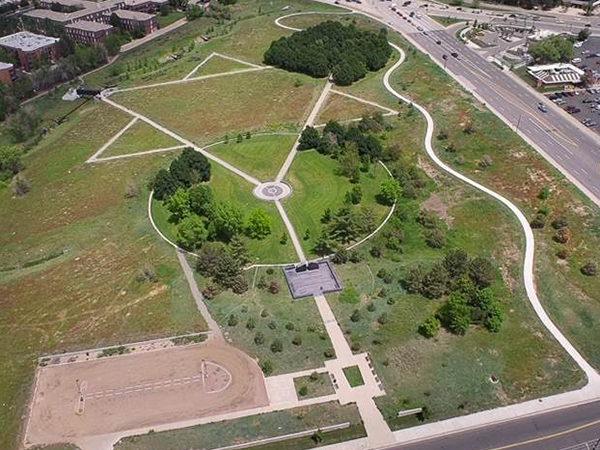 The Grove of Remembrance consists of 100 lindens planted in a grid, representing the 200,000 people killed at Babi Yar. 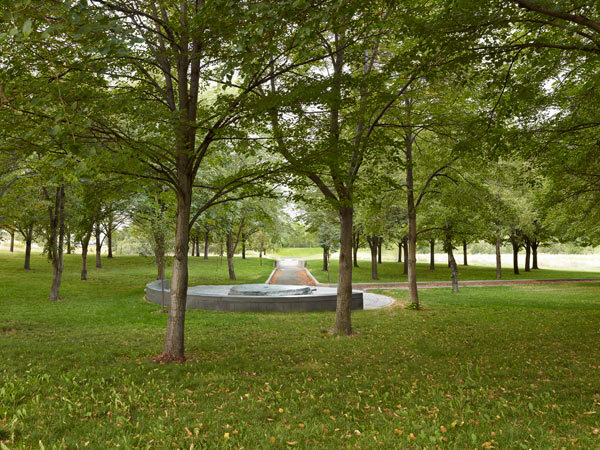 In the center of the grove, water flows from an irregularly shaped, black granite disc. A ravine reminiscent of the location where victims were buried in Kiev, runs along the western edge of the site. It is crossed by a narrow bridge with high, black wooden walls, which evoke the train cars used by Nazis to transport prisoners. Each end of the bridge is flanked with granite monoliths, polished to highly reflective surfaces. 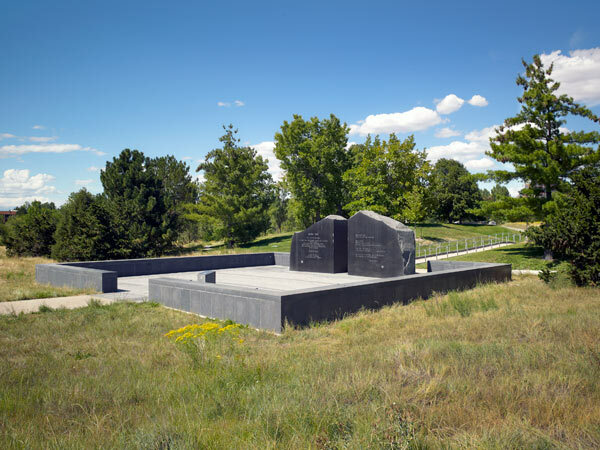 The edges of the site are planted as a prairie, with native grasses, yucca, and prickly pear. 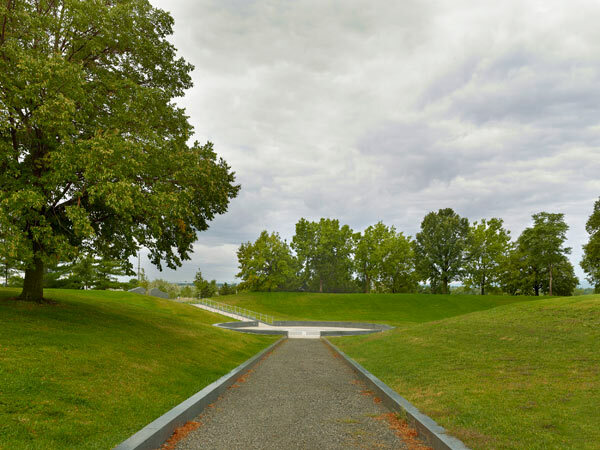 The park was renovated in 2011 by Mundus Bishop, including prairie restoration, new walls, gravel paving, and curbs. 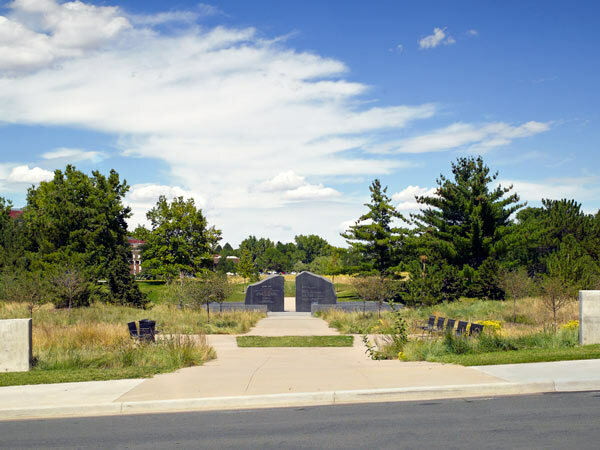 During this time stone terraces were added to People’s Place and the Grove of Remembrance while a sculptural element was installed in the northern corner of the park.